As you may know, I am the lucky mother of two rescue dogs, Snugs & Ruby. Like many of their four-legged brethren Snugs and Ruby love nothing more than a great snack, a good belly rub, and a nap (preferably on the people bed). We have tried out a couple different dog treat recipes, and have bought treats at what seems like millions of specialty dog stores in Portland. 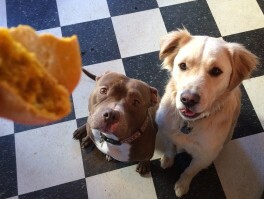 So in the spirit of good snacking, take a look at our recipe for Bacon dog treats. 2. Whisk together the pumpkin, eggs and peanut butter. 3. Add in the flower while whisking slowly. 4. 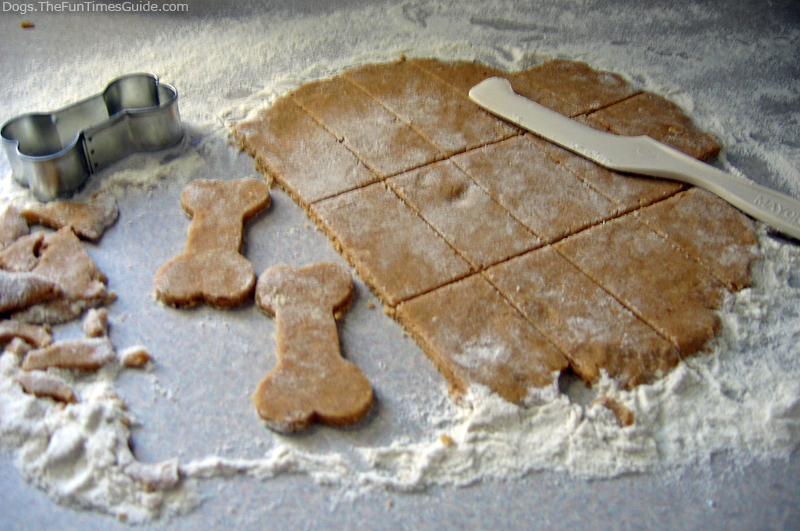 Roll out dough, and use dog bone cookie cutter to create cute shapes. 5. Spread chopped bacon onto the top of cookies, pat down to keep them put. 7. Take treats out, and allow to cool before serving to your pooches! Not only are these treats going to be a huge hit with your dogs, but they are also healthy and home made. When you take a look at packaged treats in the store you may be surprised by some of the ingredients you see, and it stands to reason that if those ingredients aren’t good for humans, they can’t be good for our fur babies. Now you can feed your dogs treats, and feel good knowing that you were in control of the ingredients that went into them, and that your dogs can enjoy themselves while staying healthy. Snack on my furry friends – and SIT!